Ridgetop is proud to work with outstanding partners who support innovations in electronic prognostics and IC development. Any trademarks provided on this site is trademark and owned by the referred company or its subsidiaries. Ridgetop Group completely acknowledges the individual rights and ownership of each trademark and their licenses. Ridgetop's Sentinel Suite ™ provides state-of-the-art PHM (prognostics & health management) tools? Ridgetop's InstaCell™ library includes high performance analog and mixed signal intellectual property (IP) blocks? Ridgetop's compact ProChek™ platform performs both wafer-level and package-level reliability tests? 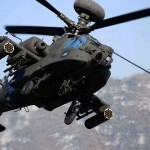 Working closely with Boeing, Ridgetop provided an effective solution to monitoring the health of on-board power systems for the Apache Helicopter. Due to the harsh environment in a helicopter, monitoring of key systems in the aircraft is essential. The work involved applying Ridgetop’s proven power system monitoring tools and Sentinel Power to extract degradation “signatures” and application of algorithms to provide state of health (SoH) and remaining useful life (RUL) metrics for the complex system. Ridgetop is certified as category 1A under the Defense Microelectronics Activity (DMEA) as part of the Trusted Supplier Program. Ridgetop has history of designing analog and mixed signal ICs for demanding applications in space satellites that are subjected to extreme temperatures and radiation. 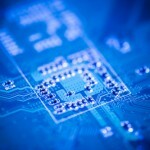 Our designs have utilized bulk CMOS, CMOS-SOI, and SiGe at process geometries down to 28 nm channel lengths. Radiation hardness is also a concern, and Ridgetop has addressed those requirements as well. A recent Ridgetop design was delivered to ON Semiconductor for the U.S. Air Force STELLAR Star Tracker. Under contract to NASA, Ridgetop designed an effective 3-axis wireless rotational sensor for use in a Helicopter Gear Box. 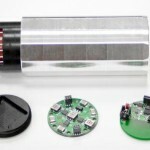 This initial implementation was designed to detect wear and damage in the gearbox, and was later commercialized as RotoSense™. 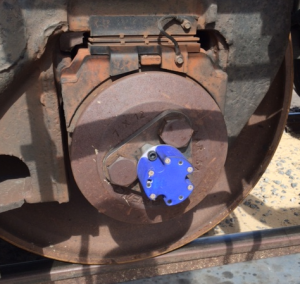 The RotoSense™ sensor has been tested on fast-spinning pinion gears on helicopter gear boxes, and also rolling stock for railroad/transit systems where it is mounted on wheel hubs, and wirelessly transmits data using Sentinel IoT™ to Sentinel Gateway™ and beyond. Copyright ©2018 Ridgetop Group, Inc. All rights reserved.